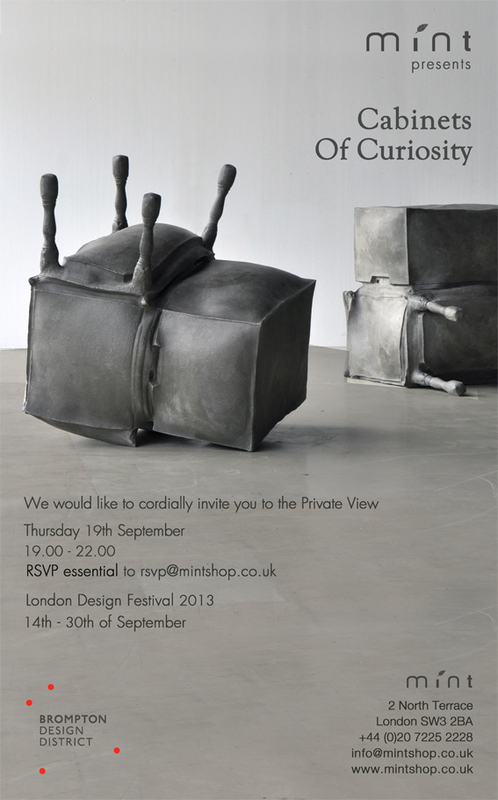 Estúdio Guto Requena is happy to invite for the exhibition of his collection “Once Upon a Time – Mint Special Edition” – at Mint Shop during London Design Festival 2013. The “Once Upon a Time” collection of glass vases is composed of pieces in different sizes, created from the recording of Guto Requena’s grandmother retelling the fables from his childhood. These stories were captured on a mobile phone in 2011 and used as the basis for the computer models of the vases. The forms generated by the interpretation of the audio files are the soul of these works, which express through their curves the narrative drama of the fables. The vases were manufactured by glass blowing artisans using recycled material. 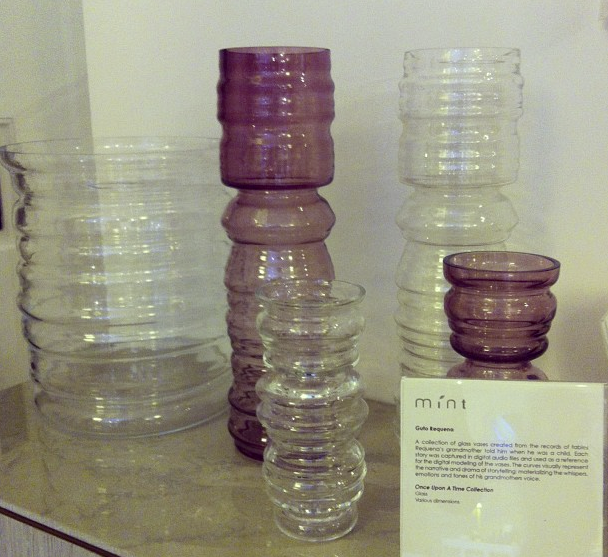 For Mint exhibition Guto developed a special edition in purple colour. The collection reflects the interests of the Estudio Guto Requena in the design process, in designs inspired by emotional memory, in the rich Brazilian culture and history, and an appreciation for the artisanal. The objects represent a form of investigation of the creative process in design using the possibilities offered by new digital technologies and concepts arising from Digitalculture. Once Upon a Time Collection was developed upon invitation of Guardin Brazil. Unlike many of his Brazilian confreres, architect and designer Guto Requena does not ascribe to the time-tested vocabulary of Brazil’s mid-century golden age of architecture. Instead, the 33-year-old has his eyes firmly set on the future, or rather on how today’s digital age will affect future architecture. 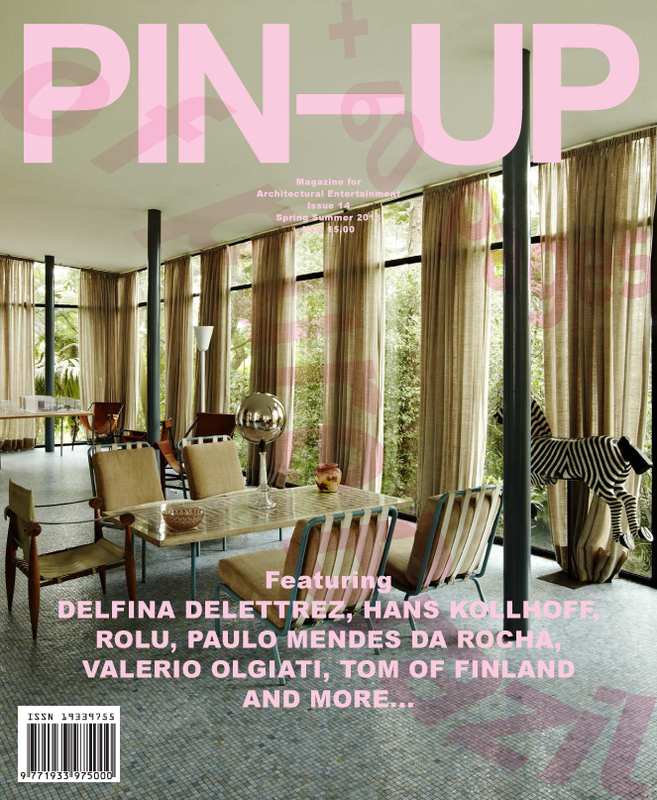 Since opening Estudio Guto Requena in 2008, he and his staff of seven have been working on a variety of projects, from research, design consulting, and exhibition design, to furniture pieces (such as 3D-altered Brazilian design classics by the likes of Lina Bo Bardi — see page 227) and two of São Paulo’s most iconic club interiors. Most recently his keen understanding of new technologies won him the commission to design the headquarters for Google Brazil. 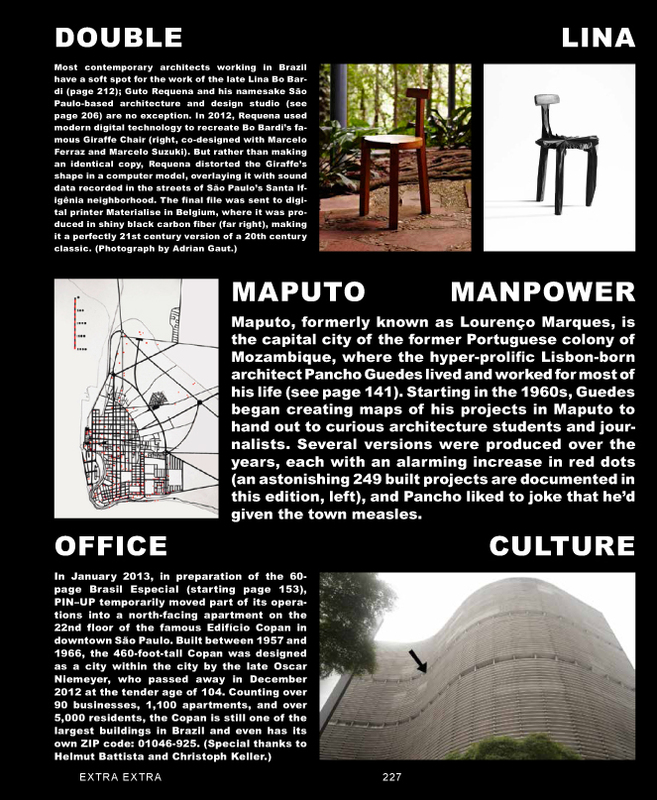 While he’s a hot ticket in architecture circles, many Brazilians know Guto simply from turning on their T.V. or opening the newspaper. For Requena has a column in Folha de São Paulo, Brazil’s largest circulation newspaper, and for over a year was the presenter of “Nos Trinques,” an acclaimed T.V. show for which he crisscrossed the country, mic in hand, to talk about architecture and design. Felix Burrichter: What made you want to do a T.V. show on architecture and design? Guto Requena: In Brazil, T.V. wields enormous influence. I remember in the 90s there was a soap opera, “A Indomada,” whose main character always wore leather. So all the girls in the north of Brazil — one of the hottest places on earth — were wearing head-to-toe black leather. T.V. still dictates the way many people live, and how they perceive architecture: Niemeyer, Mendes da Rocha, and all these big names of Brazilian architecture — 95 percent of the Brazilian population doesn’t know who they are. Or they’ll say that it’s just something for rich people. So that’s why we need to talk more about architecture and design on television, to democratize them. FB: What does “nos trinques” mean? FB: But undeterred, you’re working on a concept for a new show? GR: Yes. I’m working on a reality show to look for the new, best designer in Brazil. We’ll be recording over one month in 2014. Each episode will be related to a Brazilian problem, because I want to show that design is about solving problems. It’s a reality show, so it’ll be funny and entertaining, but it’ll have some tough challenges so it becomes an educational tool too. FB: What kind of Brazilian problems? 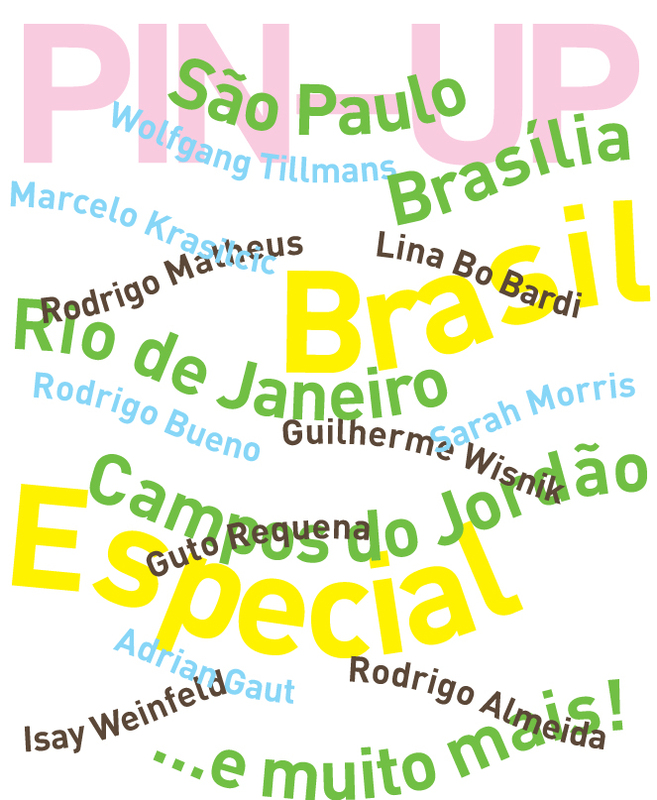 GR: One thing I find fascinating is the question of Brazilian identity. We still keep looking to Miami, to Paris, to New York, but how can we develop something contemporary, beautiful, amazing, but Brazilian? Another, more serious, problem in Brazil is crime. When I was still at university something really horrible happened to me: my father was killed. It was really violent, and we never found out why. I’m an only child, so I was devastated. But in the end it really opened up my mind because I realized that in Brazil people get killed all the time, everywhere, in the street, at home. You just grow up with it. The reason I’m telling you this is because that incident really defined who I am today. I realized that life is short, and that you really have to use what you’re given, because it might all be gone tomorrow. So that’s also why I want to do the reality show, because I want to be able to talk about the reality in Brazil on T.V., about the problems we have, the violence, but in the context of design, and to encourage people to get more educated — but all of that in a positive, entertaining way. FB: Research is a big part of your work. What are you currently concentrating on? GR: I’m really into interaction and interface, working with sensors and experimenting with surfaces that can talk to people, and relate to people, and that slowly change our cognition. Whether it’s a chair or an interior-design project, it comes down to behavioral patterns, and how we’ve changed the way we live over the past ten, 15 years, especially in Brazil. Then there’s the question of sustainability, of course. And I’m always interested in how to bring affective memory and story-telling into objects and projects — that’s the real future of architecture and design!